Anthony Bourdain was all of these things and much more. He had a lust for life that was all encompassing, whether it was his dream of traveling to the Congo (the setting for one of his favorite books, Joseph Conrad's Heart of Darkness), falling in love with street fare in Vietnam, hanging out with weirdos in Transylvania... er, Romania, living through a missile strike in Beirut, hanging out with rock stars, or sitting down for a simple meal with a past president. 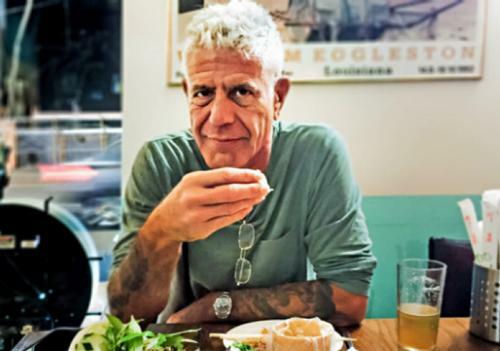 Through his ground-breaking and eye-opening television shows A Cook's Tour, No Reservations, The Layover, and Parts Unknown, he showed us how we can connect and relate to one another through our different cultures and foods, and how that can actually bind us together as human beings instead of tearing us apart. 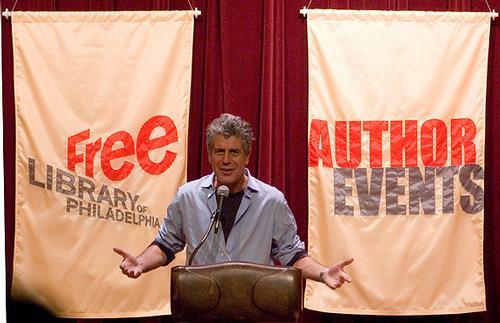 His relationship with Philadelphia always involved a playful back and forth that started back in 2007 when he visited Parkway Central for an Author Event centered around his then newest book detailing his far-flung and gastronomically adventurous travels on his television show No Reservations. Philadelphia fans were then teased over the years: when was he going to come here to film an episode of one of his popular travel shows?! 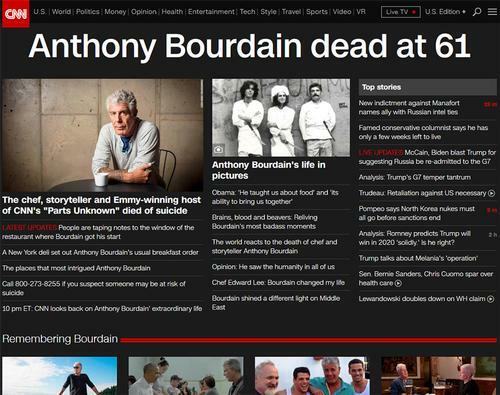 When he finally did show up in 2012, I honestly remember it being the talk of the town, whether you were a restaurant owner, a foodie, or just someone who wanted to see what all the hubbub was about. Future appearances in Philly followed over the years, the last that I can remember (and that I personally attended) was an evening of monologues and Q&A that took place at The Academy of Music in October 2016. Always entertaining, always thought provoking. Perhaps what hurts the most and seems the most surreal about his suicide is the degrees of separation he had with people—he just seemed like the type of person that everyone knew, whether that was real or perceived. He was friendly, open, and just seemed like one of the good guys. Whether it was taking time out to speak with a fan, supporting charitable causes, defending a food critic, or helping make a terminally ill child's life a little brighter, it always seemed that he was trying to make a difference. His bouts with addiction and desperation were discussed and documented by his own words, but as with most things, not everything is always as it seems. 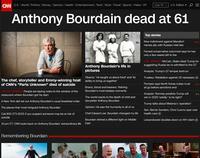 A selection of books and television from Anthony Bourdain's life is available from our catalog.